I don't know if you read the NY Times coverage, but I was pretty impressed with the article that I read which quoted the authors as well as several other paleo types who observed that these were really cool fossils and applauded the openness with which the authors have shared data but concluded that this doesn't really change anything conclusively. One quote even alluded to the incredible difficulty in identifying which fossil ancestors are really in our lineage - to the point that we may never totally reconcile it. I doubt that media coverage will ever become as nuanced as we would like, but it is nice to see some nuance. Anyway, do you really think that there was a remote possibility of that our last common ancestor with chimps "may or may not have been bipedal"? I suppose I see no reason for a reasonable doubt in the conclusion that chimps never had bipedal ancestry. The consensus right now, based on the available evidence, is that the common ancestors of chimps and humans were not bipedal and that at very soon after the split of the two lineages (around 6 mya) bipedal locomotion appeared. However, of course there are other hypotheses... one being that bipedalism is much older and that African ape ancestors were bipedal and that we are the only ones to remain so, with gorillas, chimps and bonobos evolving knucklewalking. Then there's another one that has knucklewalking as the ancestral locomotion and bipedalism evolved from a knuckle-walking ancestor. Thank you, Holly. I know that the fossil record indicates various exceptions to maximum parsimony, but I suppose that compelling evidence would be needed to seriously consider that chimps and gorillas had bipedal ancestors. I also would expect knuckle-walking ancestors of humans outside of the chimp lineage. 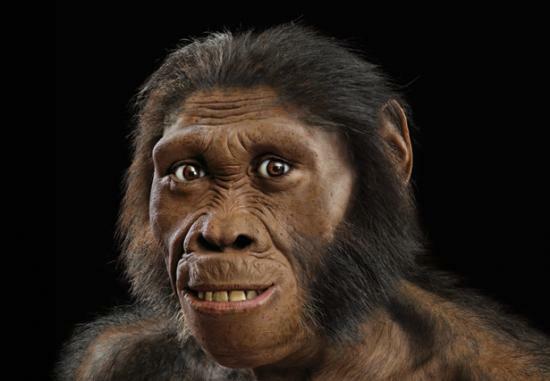 Anyway, I'll try to bring this more into your focus on Australopithecus sediba. Is there any evidence that A. sediba was a knuckle walker? I suppose such evidence would be in the hips and not in the knuckles. Or how could we determine if any Australopithecines were knuckle walkers?
" I know that the fossil record indicates various exceptions to maximum parsimony, but I suppose that compelling evidence would be needed to seriously consider that chimps and gorillas had bipedal ancestors." - Yes and yes, however, that scenario isn't far-fetched at all if you think about how apes move about in the trees. If the common ancestor walked on its palms in the trees and on the ground (and it did), and then bipedal posture was prevalent for a common ancestor, and selection for that remained in our lineage but in others, moving about quadrupedally became important/useful/not horrible again and that posture was knuckle-walking instead of palmigrady ... why not? You can carry things when you walk on your knuckles that you can't carry when you walk on your palms too. These hypotheses are testable with an increasing fossil record. "Is there any evidence that A. sediba was a knuckle walker?" Not that I've read about. It would have to come from the bones of the hand and wrist and it would be very surprising given there is only maybe evidence for the potential vestiges of such adaptations in much earlier homs. The wrist (carpal) anatomy is rigid without some of the movable joints that we have. Also, when you walk on your knuckles the bones of your fingers and hand are stouter from resisting the forces. There is evidence that it was climbing a great deal (in Kivell et al. 's paper that goes with the several linked above).